Product categories of Microvia Flex PCB Assembly, we are specialized manufacturers from China, Laser Flex PCB Assembly, Microvia Flex PCB Assembly suppliers/factory, wholesale high-quality products of Microvia Drilling Flex PCB Assembly R & D and manufacturing, we have the perfect after-sales service and technical support. Look forward to your cooperation! HDI is one of the more complex board fabrication processes we specialize in. 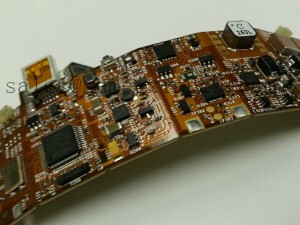 We use SBU technology, which allows sequential addition of more pairs of layers to form a multilayer core, to create this type of highly integrated PCB and and Microvia Flex PCB Assembly.